This week’s mix moves in three directions. We start with a synth-pop set, move into some spastic idm beats then finish off with some nice hip-hop. You can tune in on 102.1fm (NE Columbus) or 98.3fm (Campus Area), or of course, grab the podcast in high fidelity here on the Internet. 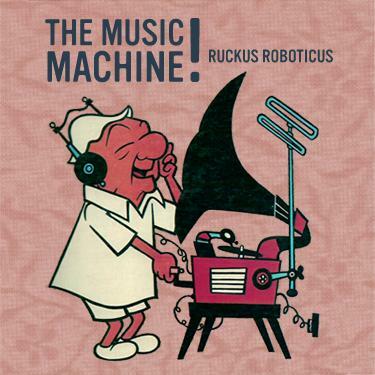 This week we feature a stellar mix from Ruckus Roboticus created as an companion to his latest album “Playing With Scratches.” This mix was voted Solid Steel’s 2007 best mix of the year, an award he also pulled off in 2003 with his “Record Playa'” mix. Ruckus stopped by the Sells Studio and chatted with me about making this mix, his album and future plans. Joseph and I are back this week and I think we’re less rusty in the studio this time around. The first half of the show has some more of my 2007 favorites then Joseph plays an absolutely great set in the second half with some tropicalia, reggae, ruckus roboticus and more! After a long hiatus, The Beat Oracle returns on the FM airwaves in Columbus, OH on WCRS, 102.1 and 98.3 low power FM. The weekly show will be an hour long and features rotating DJs Michael, Joseph and Kenny and frequent guest spots from Ruckus Roboticus, DJ Barticus and other local DJs. We’re planning to have a regular local DJ spotlight segment monthly. This week’s show features some of Michael and Joseph’s favorites from 2007.